The Linkage for VW Type 1 engine on type 3 with DCNF carburetors. This linkage is designed for Type 1 engine on Type 3 with DCNF carburetors. 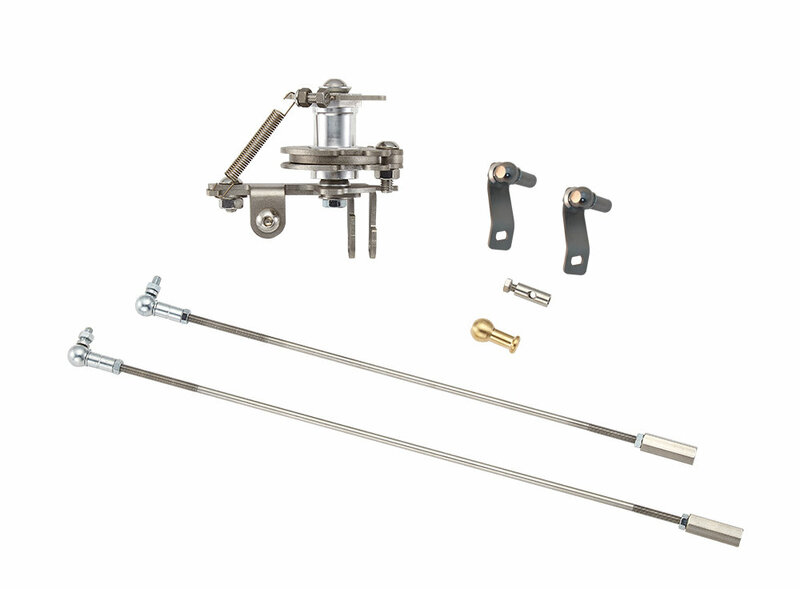 This Pushrod Linkage system has built in “ Quick Release “ which attached to both sides of the carburetor, allowing for removing / fitting without the need to unscrew the linkage and resetting. The “ Pulley System “ gives very smooth pedal traveling. Dual ball bearing with return spring included. Long threaded pushrod that can be fit to wide range of carburetors. Will not increase the idle speed when the engine running hot. Accelerator cable guide included for better cable traveling.